Plaza 211 comprises an impressive 36,354 sq.ft. glazed four storey office building located in Blanchardstown Corporate Park. This energy efficient building has achieved an A2 energy rating and LEED Gold certification. Blanchardstown Corporate Park is Ireland's premier office campus providing international standards in design, landscaping, connectivity and accessibility over a 100 acre campus. This corporate environment with a magnificent landscaped park which offers occupiers a secure campus style working environment that benefits from easy access to onsite facilities. Blanchardstown Corporate Park is also a popular business location due to its ease of access to Dublin Airport and The M50 motorway. 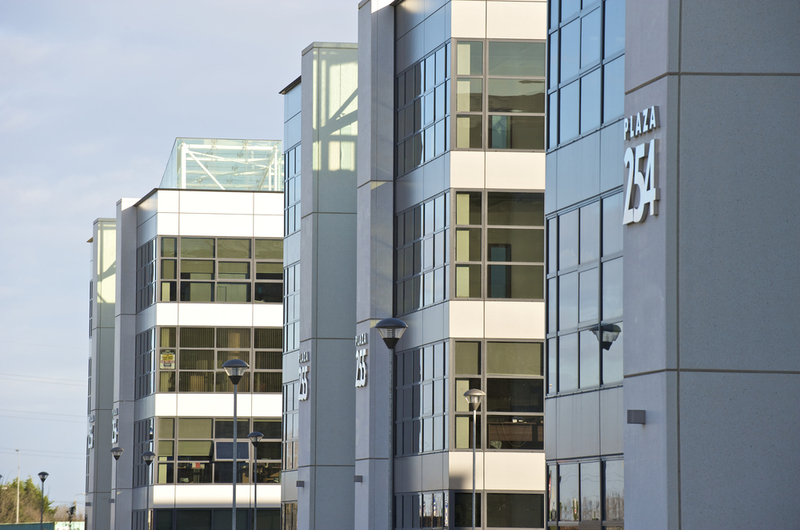 Blanchardstown Corporate Park is located in the heart of The Dublin Enterprise Zone. The Dublin Enterprise Zone consists of 1571 hectares of land primarily zoned for Office, Research & Development, High Technology Manufacturing, Industrial, General Enterprise and Employment located seven kilometres northwest of the city centre. The Dublin Enterprise Zone has grown rapidly in recent years to become a significant national economic asset. The location of the Dublin Enterprise Zone, on the edge of Dublin City allows easy access to 1.2 million consumers, and numerous suppliers. The Dublin Enterprise Zone maintains a pro-business environment that has attracted Investments by some of the world’s biggest companies over the past decade. The developers of Blanchardstown Corporate Park, The Channor Group, have worked assiduously for 20 year to transform a greenfield site purchased in 1996 into Ireland's leading suburban office park. With a wealth of development, construction and asset management experience, The Channor Group's dedicated team prides itself being market leaders in the Dublin suburban office market.